I thought it would be fun to try making the origami card case in the last post using fabric. I starched a piece of quilt-weight fabric and folded it into a case, then added some decorative stitching. For how to make your own, read on! 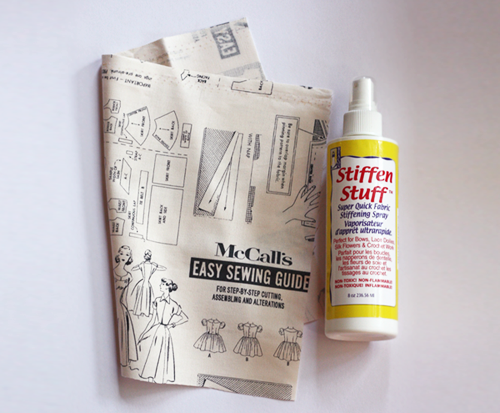 To make fabric stiff and crisp like paper, I used Stiffen Stuff purchased at Michael's. 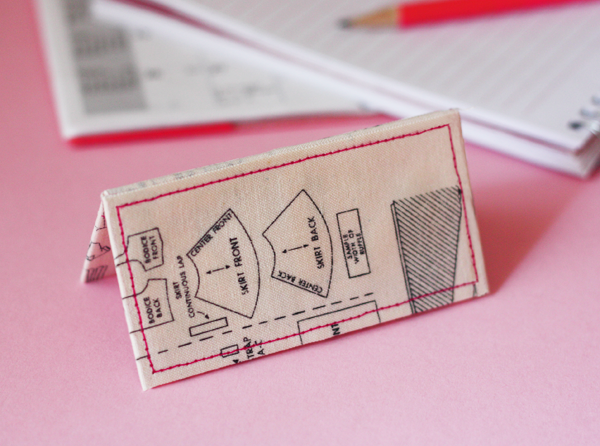 To fold the business card case or gift card holder, follow the steps here. 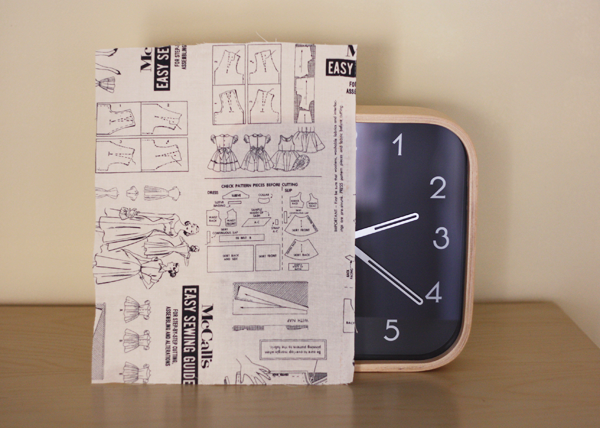 Use an iron to press each crease into the fabric. When the fabric cools, the folds will be fixed in place. Leave the finished case as is, or add some decorative top-stitching. 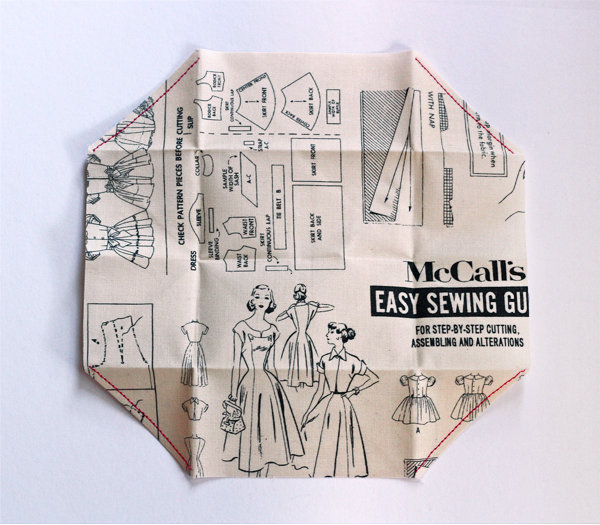 To do that, unfold the case to the octagon stage and stitch along the diagonal corners on the right side of the fabric. Stiffened fabric will now behave more like paper, so I found it's better to pull the loose threads to the back side and tie them off, rather than backstitching which makes extra puncture holes. Flip the octagon over and fold the left and right flaps inward, exposing the square that forms the front and back outer panels of the case. Stitch around both panels. 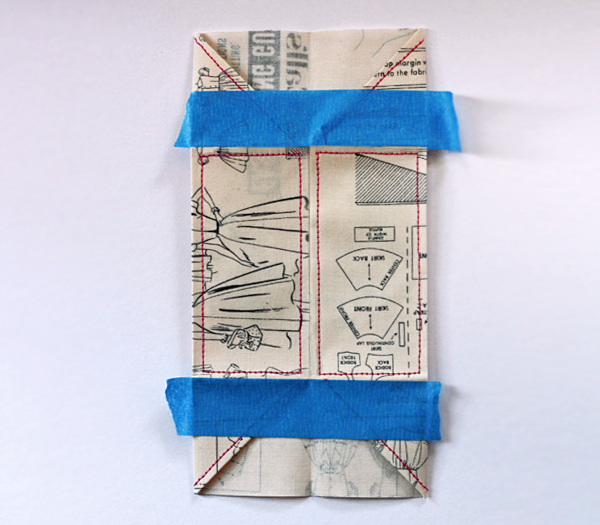 If it's hard to see where the folds are, lightly stick on some masking tape to make a guide for sewing. Remove the tape and fold the case back up, giving it a final press with the iron again if needed. The finished case has some exposed raw edges of fabric, but the starch glues the woven threads together and keeps them from fraying. 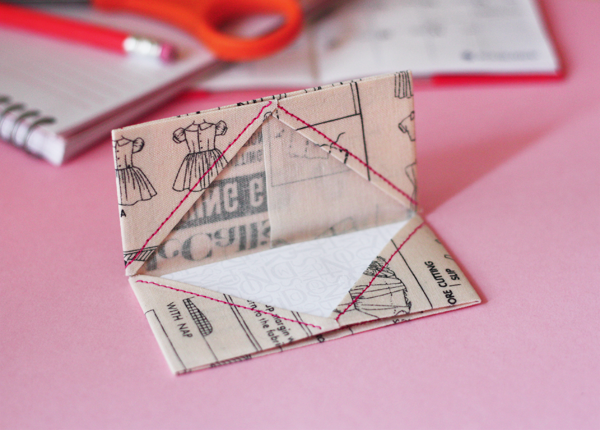 You have read this article fabric / tutorials with the title Fabric origami business card holder. You can bookmark this page URL http://jenkrebs.blogspot.com/2012/08/fabric-origami-business-card-holder.html. Thanks! No comment for "Fabric origami business card holder"